The Innovation Foundry has the following equipment that can be checked out for use in your classroom or event. Mevo is the pocket-sized live event video camera and companion app that lets you edit while you film. Now you can share live events in real time with unprecedented production value. 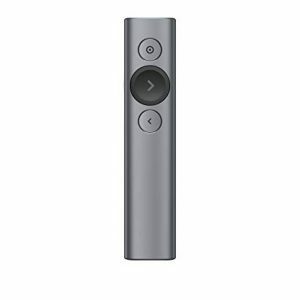 Stream live in up to 1080p or record in up to 4K. Available for iOS and Android. Mevo is the pocket-sized live event camera that lets you edit your video while your event unfolds. This camera helps busy consumers, organizations, and event producers seamlessly share the engaging stories of their live events by putting the power and capabilities of a multi-camera production studio in their hands. 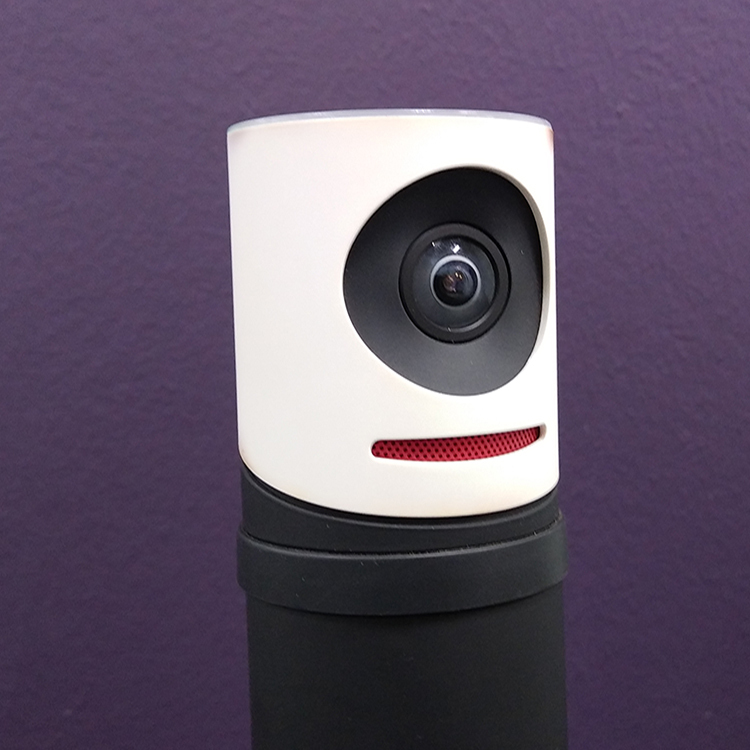 The way it works is Mevo’s 4K sensor and 150-degree field of view capture a large area. Instead of a traditional viewfinder, Mevo pairs with the Mevo app (iOS/Android) that shows your picture. With the app, you can crop your shot via standard camera motions (zoom, pan) as well as cut from one cropped area to another, creating the appearance of a multi-camera event from a single shot. Mevo’s leading-edge technology enables an entirely new kind of video sharing experience for a wide variety of uses – from concerts to conferences, sports to school plays, and the events that business owners of all sizes need to share online. The Double 2 can be used in various scenarios where someone is needing to be present virtually because they cannot physically be there. 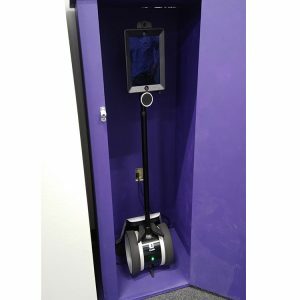 This allows the person attending virtually to move around the room or see other attendees. Homebound students can attend class. Guest speaker for an event. Guest presenter for a class. Navigate slides with confidence from up to 100 ft away and use the advanced pointer to Highlight, Magnify, or pinpoint areas of focus with a Digital Laser. Complete the form below to check-out available tech.